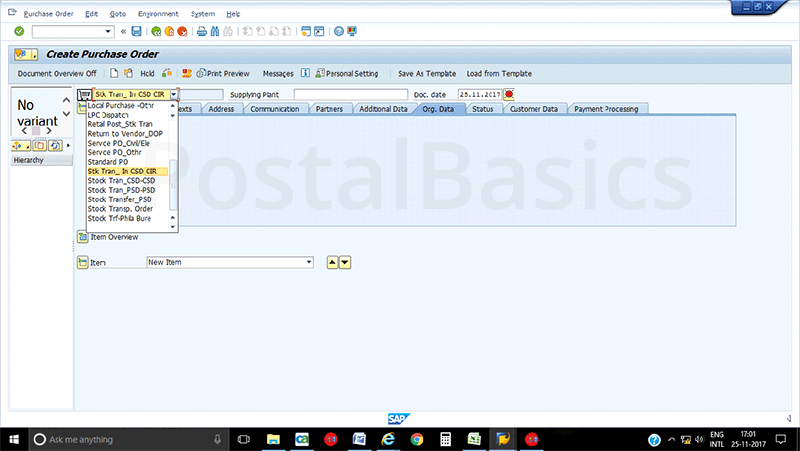 This article deals with the steps for indenting stamp from CSD. CSD is the core distributor of Materials to all post offices. CSD will distribute the materials to Head Post Office. Similarly, Head office sends materials to respective sub-post offices. Initially, head post office treasurer has to create a Purchase Order through CSI and make an invoice entry in Philsim Online Stamp Inventory as well(the link may not open on other networks). The Purchase Order has a list of required stamps name with denomination and quantity. 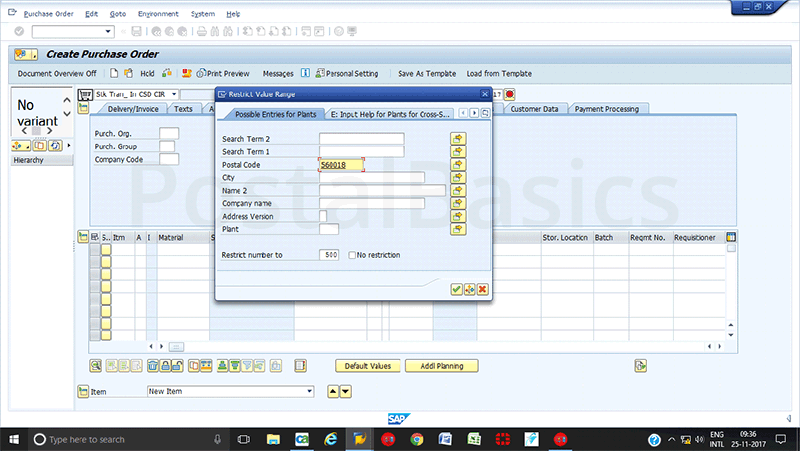 Once you have generated a purchase order number in SAP, the indenting procedure will be performed from your end. Depending on the Purchase Order, CSD has to send the stamps to HPOs. How to indent stamp to CSD? Go to SAP, type the T-code ME21N. The below screen will pop up. Select Stk Tran_in CSD CIR as shown in the above screenshot. Now, you have to select a Supplying plant which is a CSD from where you get the supply of stamps. If you do not know the code of CSD then just click on the search button on Supplying plant. You will get a pop up as shown below. Type the postal code of the concerned CSD of your circle. So that you can select a code of CSD. (5) Quantity Quantity of stamps. After filling in these details, hit ENTER button. Rest of the items will fill up automatically. Click on check(8) button for any corrections and you should get a message “No messages issued during check”. Now, click on SAVE button. A number will get generated. 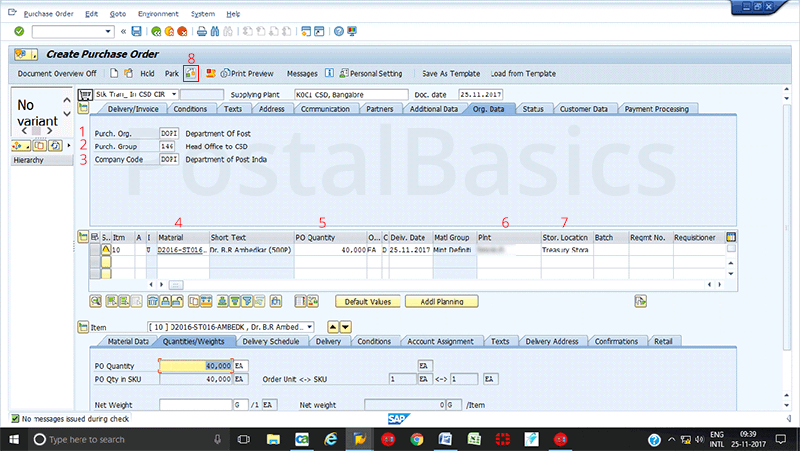 That number is the Purchase Order Number which is to be communicated with CSD for invoicing stamps to your office.